On Friday, April 24, 2015, Advanced Education Minister Andrew Wilkinson and Dr. Ron Burnett, President + Vice Chancellor, were joined by students, faculty, staff and alumni to mark the start of design and construction of a new campus for the only specialized post-secondary institution in BC offering programs in design, media arts and visual arts. The entire campus will be outfitted with state-of-the-art technology that will allow for integrated displays for learning and interaction. Student common spaces will be open and flexible, encouraging exchange between interdisciplinary artistic practices and informal social gatherings enhancing overall university life. The abundant use of glass in open atriums and their proximity to the academic commons and library will encourage transparency and collaboration. Exteriors will also be outfitted with state-of-the art technology to allow for public programming and outdoor spaces to be illuminated, inviting in visitors and the public to engage and explore the new campus. The new facility is designed to achieve LEED Gold Certification, and will comply with the Wood First Act. The milestone today follows a competitive selection process that culminated in a fixed-price, performance-based agreement with Applied Arts Partners to design, build, partially finance and maintain the new university. Other operations on site include a mix of digital media companies and art galleries. 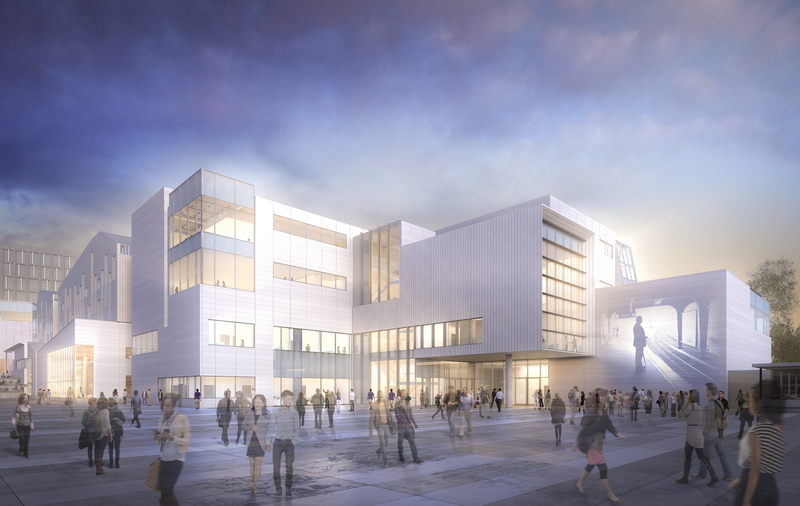 The new Emily Carr University facility will continue and accelerate the growth of the campus into a high-profile district for the digital and creative sectors in Vancouver based around synergies between on-site business and higher education. The new campus, expected to be completed in autumn 2017. 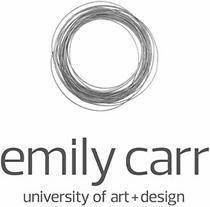 Founded as Vancouver School of Art in 1925, Emily Carr University of Art and Design is the only specialized public post-secondary institution in B.C. offering programs in visual arts, media arts and design exclusively – one of only four such institutions in Canada. It is consistently recognized nationally and internationally for the excellence of its faculty, students and alumni. The future starts now! Here's a peek at our new home on Great Northern Way!